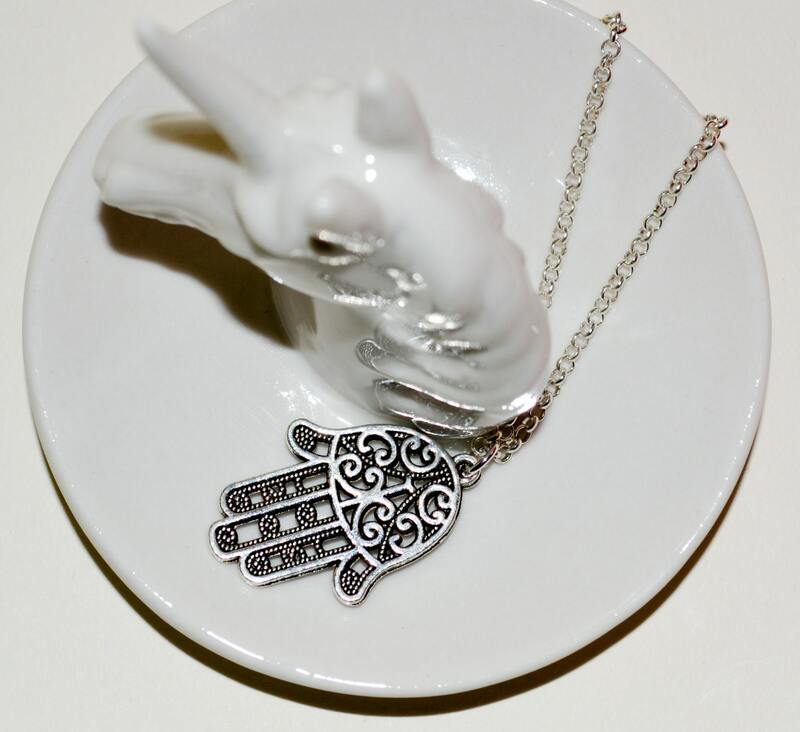 A beautifully detailed Hamsa hand charm, hung simply on silver plated chain. 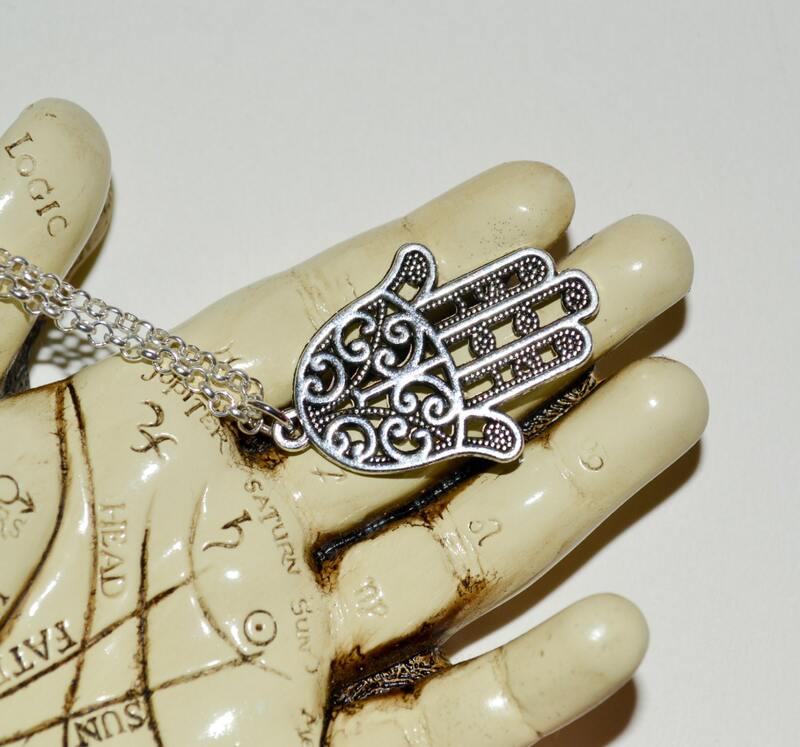 The Tibetan silver hand charm is just over 1.25"/3cm tall. 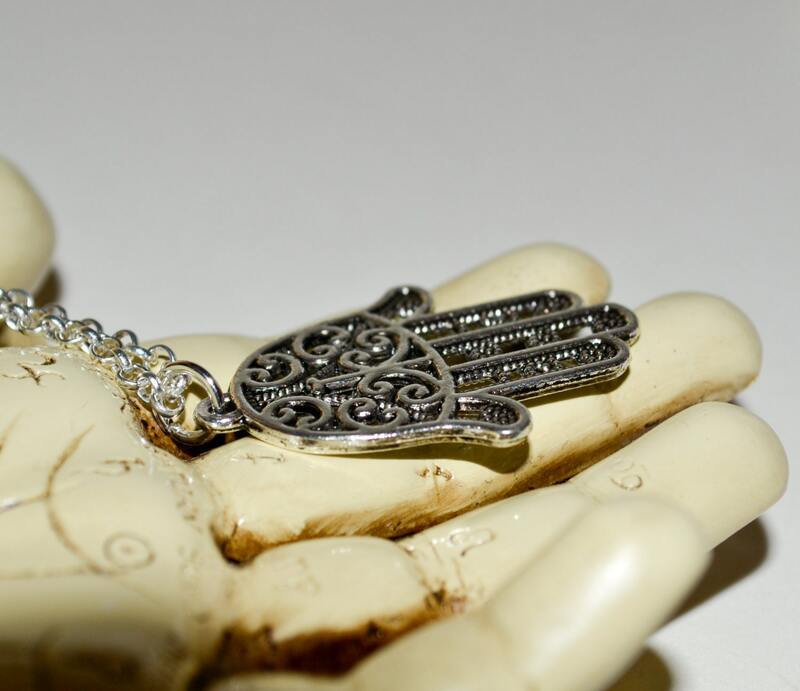 The charm is 3D and double sided. 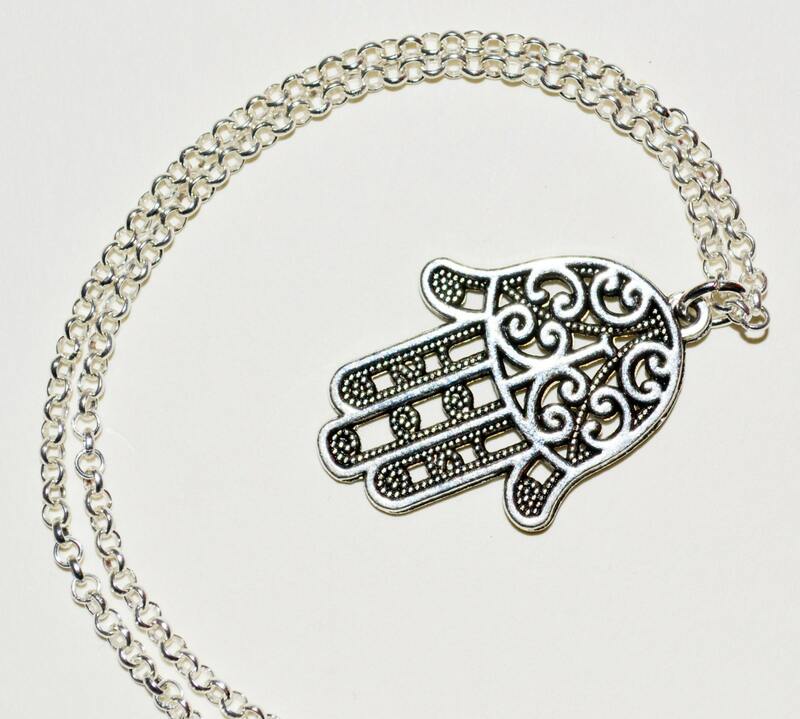 Silver plated 3mm rolo chain is lead and nickel free with a lobster claw clasp. 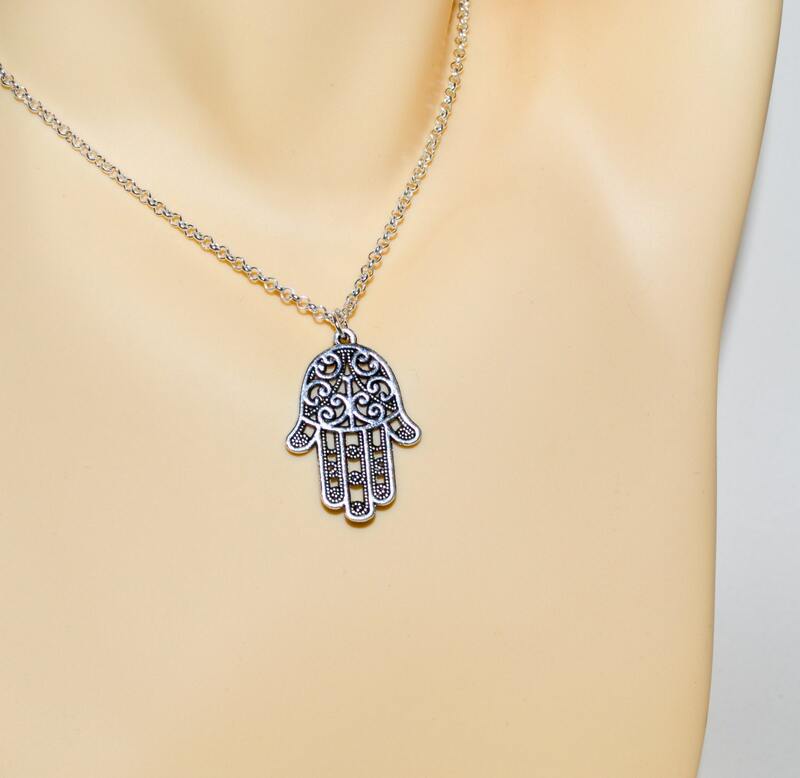 The Hamsa is believed to provide defense against the evil eye.